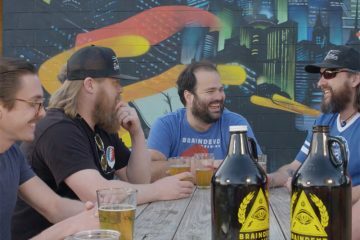 This Week, The Growlersations Crew Sat Down With Jim Kenny Of Green Flash Brewing, A Southern California Brewery Known For Its West Coast IPAs. And, really, I especially love talking beer with Jim Kenny of Green Flash Brewing. Why? Because his point of view is so different than mine. I’m usually zoomed in on Dallas and then sometimes zoom out to think about Texas. But as a National Sales manager, Jim looks at the U.S. as a whole and then occasionally zooms in on the states in which his brewery sells beer. Having a conversation with someone who approaches beer from the direct opposite path as I do is always enlightening. It helps, too, that he and I have had a lot of fun over the years, making this conversation easy for us to jump right into. Over the course of our chat, he and I discuss all kinds of fun stuff, from my old Flying Saucer days and all the way up to our most recent interaction in Philadelphia during the Craft Brewers Conference. So sit back, relax and maybe even crack open a beer of your own to ago along with Growlersations Episode 13. Shot on location at Mudhen Meat & Greens. Previous ArticleSongs Of The Week: Tay-K, Remy Reilly & More. Growlersations, Ep. 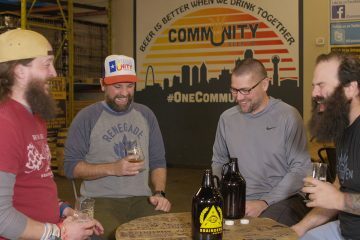 12: Kevin Carr and Corey Dickenson of Community Beer Co.